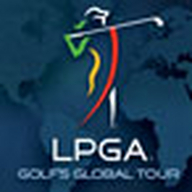 The LPGA is the world’s leading professional golf organization for women. Founded in 1950, the association celebrates a diverse and storied membership with more than 1,700 members representing 29 different countries. With a vision to inspire, empower, educate and entertain by showcasing the very best of women’s golf, LPGA Tour Professionals compete across the globe, while dedicated LPGA Teaching and Club Professionals (T&CP) directly impact the game through teaching, coaching and management. The Symetra Tour consistently produces a pipeline of talent ready for the world stage. The LPGA is headquartered in Daytona Beach, Florida.